Safety systems must maintain low risks over their lifetimes. 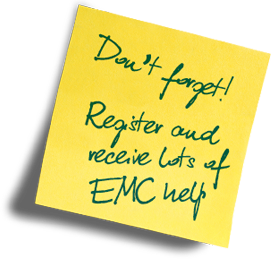 Where electromagnetic interference (EMI) could affect risks, an adequate level of electromagnetic (EM) performance is required. This is known as ‘electromagnetic compatibility (EMC) for Functional Safety’. 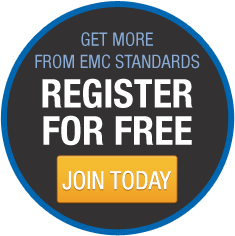 It is not practical to prove that systems are safe enough solely by EM testing. In all technical areas (including software) safety requires appropriate design, validation and verification techniques, including testing. 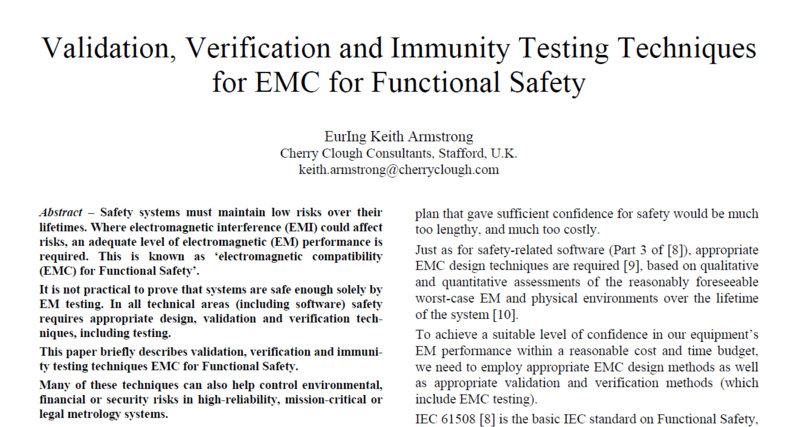 This paper briefly describes validation, verification and immunity testing techniques EMC for Functional Safety. Many of these techniques can also help control environmental, financial or security risks in high-reliability, mission-critical or legal metrology systems.